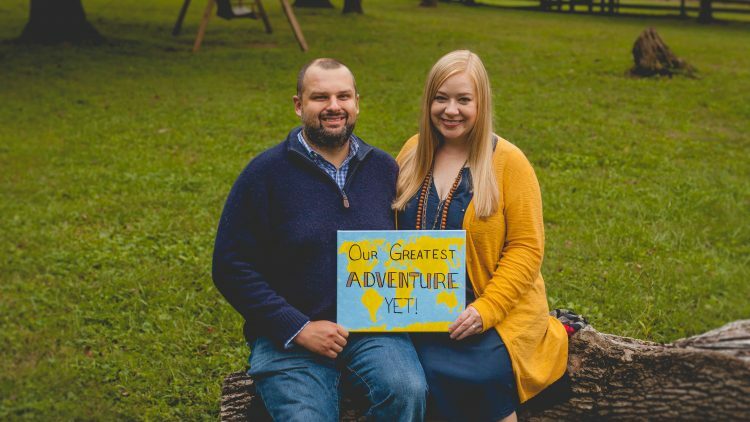 Jeremy & Audrey are Adopting! Thank you for visiting our adoption fundraising page! Shortly after getting married, Audrey started experiencing strange symptoms that over the next year resulted in two separate cancer diagnoses (ovarian and endometrial cancers) and 3 major surgeries. One of the surgeries was a total hysterectomy, resulting in the loss of fertility. In the end, Audrey emerged cancer-free and has been cancer-free for over 7 years. The desire to have a family has held strong through Audrey's journey. Jeremy and Audrey are so excited to be parents for the very first time through adoption. They are actively looking for a birth family, but the average financial cost of the entire process is $30,000. We've seen several cases that are much higher than that and are hoping we can ease the financial burden. For every $10 donated, we will add one entry into the drawing for a $100 Visa gift card. The value of the card will increase if there are enough entries! Thank you so much for taking the time to visit, considering a donation to the cause and mostly, thank you for your love and support! We are finally off of the waitlist for our adoption consultant! She will be working with us directly to help us find baby McGraw. Hoping things will move quickly from here! Blessings on your journey to Parenthood! Praying for your all’s strength and patiences, and for precious baby McGraw! We are so excited for the lucky baby who gets to spend his childhood with you two as his parents! You guys are going to be amazing parents! I wish I had something super inspirational to say! I’ll be praying for you guys and sending lots of love and good vibes your way! Jeremy & Audrey - How exciting - you will be awesome parents!! Praying that you find a baby who will forever have love with you two! I can't think of anything appropriate to say, so I'm going to take the advice that my mother gave me and not say anything at all. ❤️you two, you’ll be great parents! Lovies! You're going to be amazing parents! Beat of luck on your endeavor. I hope this helps you get closer to having the family you deserve! Wishing you the very best! Sending our love! You two will be amazing parents! I am Whitney Irwin Sims aunt. Bless you and your new baby! Excited for two of our favorites to become awesome parents! We love you guys!! Good luck to you both. I’m sure you’ll make wonderful parents!